The drop’s “Midwest Gold” colorway gets put to the test. 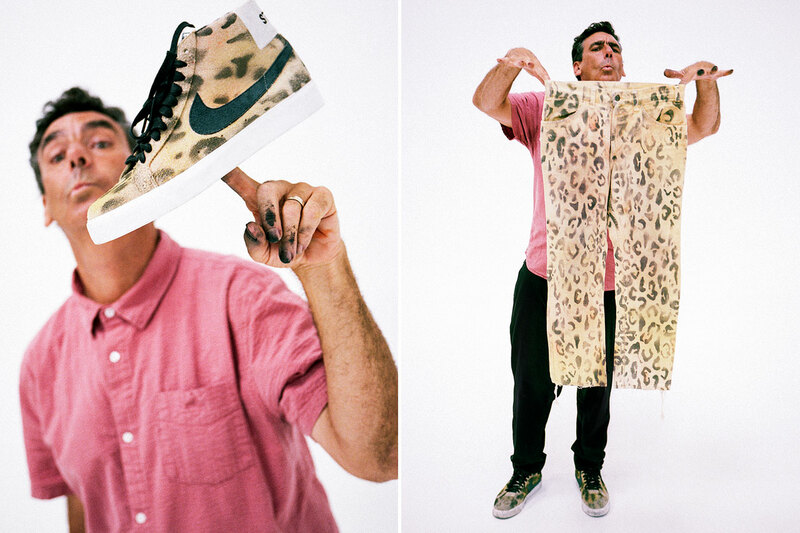 Yesterday, we shared Stüssy‘s first look at its upcoming Nike SB Blazer collaboration showcased by Lance Mountain. As a quick follow up, Nike SB caught up with the skateboarding legend to discuss the inspiration behind the DIY-inspired Blazer Mid. In addition, Lance and a few others put the upcoming drop to the test as the video goes from conversation to skate session. The Stüssy x Nike SB Blazer Mid “Midwest Gold” incorporates hairy suede on its upper, and is joined by a leopard stencil which allows you to customize it to your own liking. The Blazer Low iteration was created alongside Stüssy’s own Kevin Terpening and contrasts its mid predecessor in black hairy suede. The collaborative duo arrives on December 7 via Stüssy flagships and Stussy.com, with additional skate shops sharing the launch on December 8. Lastly, Nike SNKRS will drop this Stüssy x Nike SB project on December 10. Nike Revives the Zoom LeBron 3 "Midnight Navy"
Dev Hynes will perform in the U.S. and Mexico soon. Todd Snyder Links with New Balance for Vibrant 998 "Color Spectrum"
A contrast to the gloomy winter weather. Toro Y Moi Drops New 'Outer Peace' Single, "Ordinary Pleasure"
Chaz’s new album is set to drop January 18. He’s currently serving a 20-year sentence in Texas. Black, gold and patent leather.